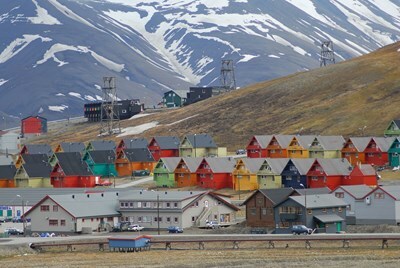 Svalbard is an archipelago in the Arctic, constituting the northernmost part of Norway. It is located north of mainland Europe, midway between mainland Norway and the North Pole. The group of islands range from 74° to 81° north latitude, and from 10° to 35° east longitude. Spitsbergen is the largest island, followed by Nordaustlandet and Edgeøya. This description uses material from the Wikipedia article on Svalbard and is licensed under the Creative Commons Attribution-ShareAlike License (view authors).